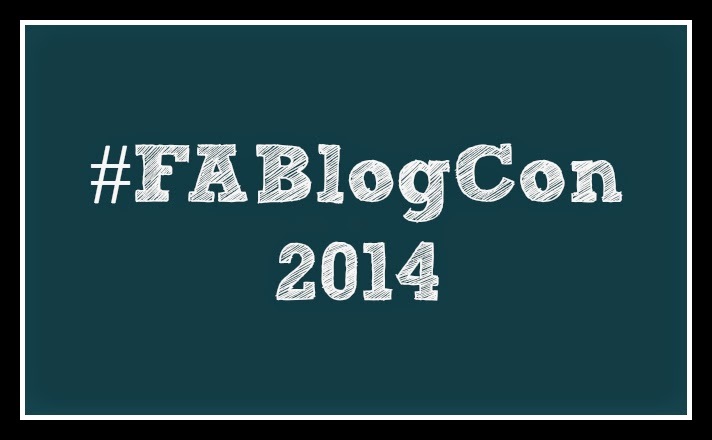 Raising Jack With Celiac : Thank you Fablogcon! 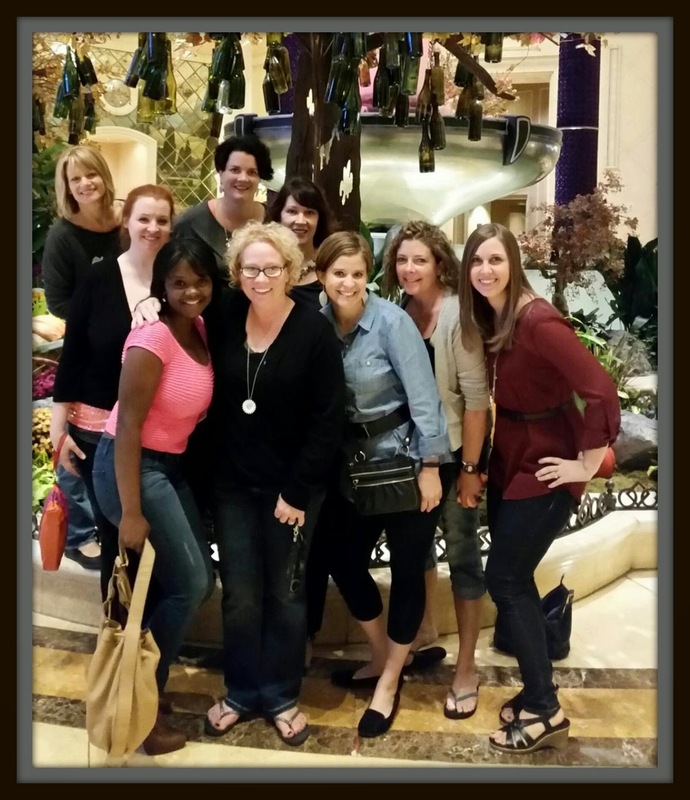 The 2nd annual Food Allergy Bloggers Conference in Las Vegas this past weekend (Sept. 26-28), was a HIT! Packed with lots of great speakers, break-out sessions, networking and brainstorming, it was fun, informative and inspiring. 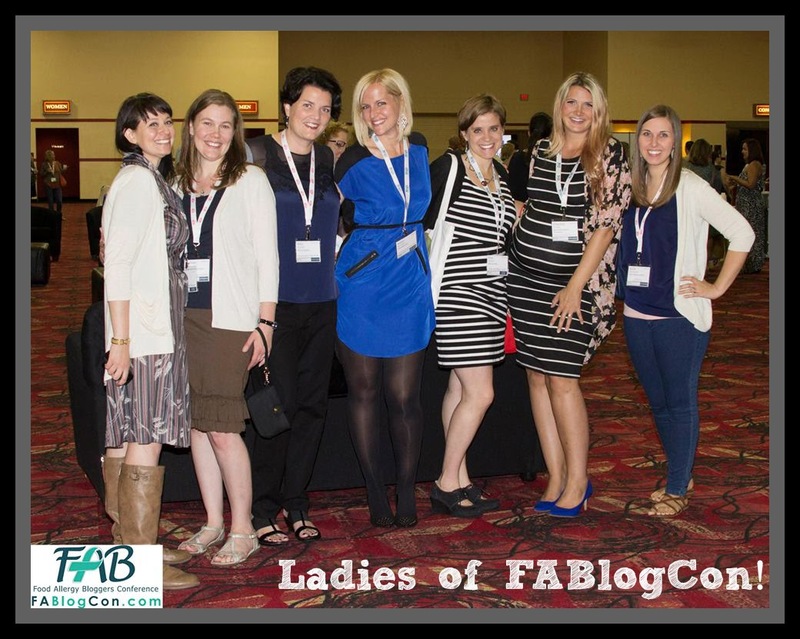 Let me get right to it, and tell you MY HIGHLIGHTS from this year's FABlogCon. 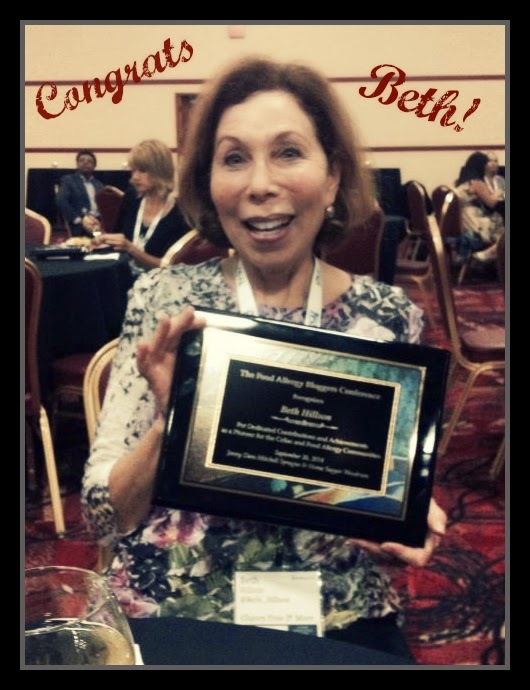 Beth Hillson, receiving an award for her achievements and contributions in the celiac disease and food allergy communities. Beth of course, is who I recently interviewed and did a 3 part blog post (read this post first, then click here for more with Beth) series on. She's fabulous and she deserves this honor! 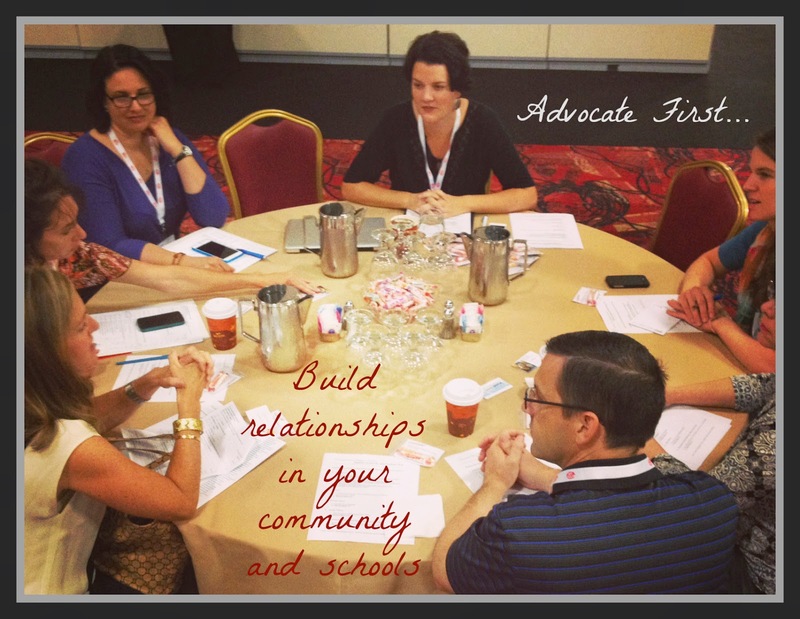 My break-out session, "Advocate First, Blogger Second: Making Strides the Old Fashion Way" - a lot of great ideas were shared - thank you to those who attended! "Balancing Act" with Keeley McGuire, Pam Jordan (I'm a Celiac) and Cindy Gordon (Vegetarian Mamma) - these ladies gave tips on managing your blog, while managing work, family and LIFE. Setting goals, priorities, time management, scheduling tools, like hootsuite.com and more! Thank you my dear friends for sharing your tips. "How to Influence Change in School Policy" - the ladies (Jan, Caroline, Laurel and Gina) of this panel, shared so much information to get everyone on the road to success in their schools. I loved the quote for this session, "I alone cannot change the world, but I can cast a stone across the waters to create many ripples" - Mother Teresa. 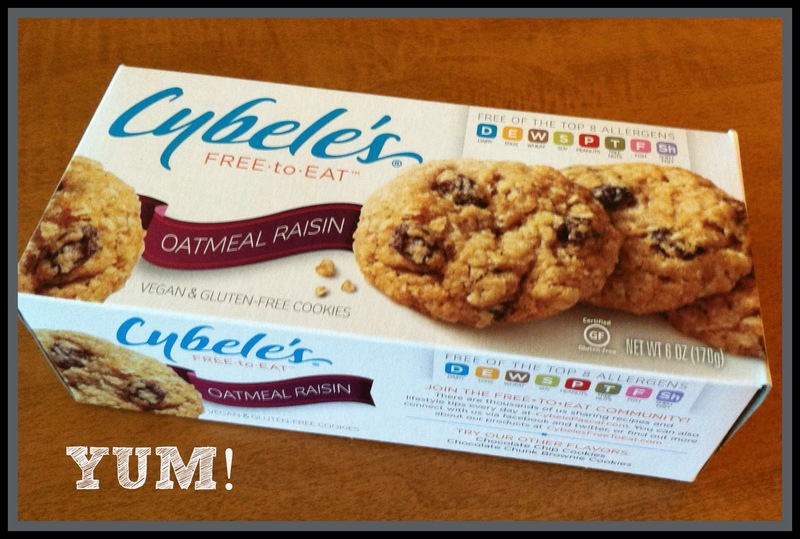 Cybele's Free to Eat Oatmeal Cookies. These cookies are so delicious, and they're free of the Top 8 allergens. Soft, chewy and full of flavor! 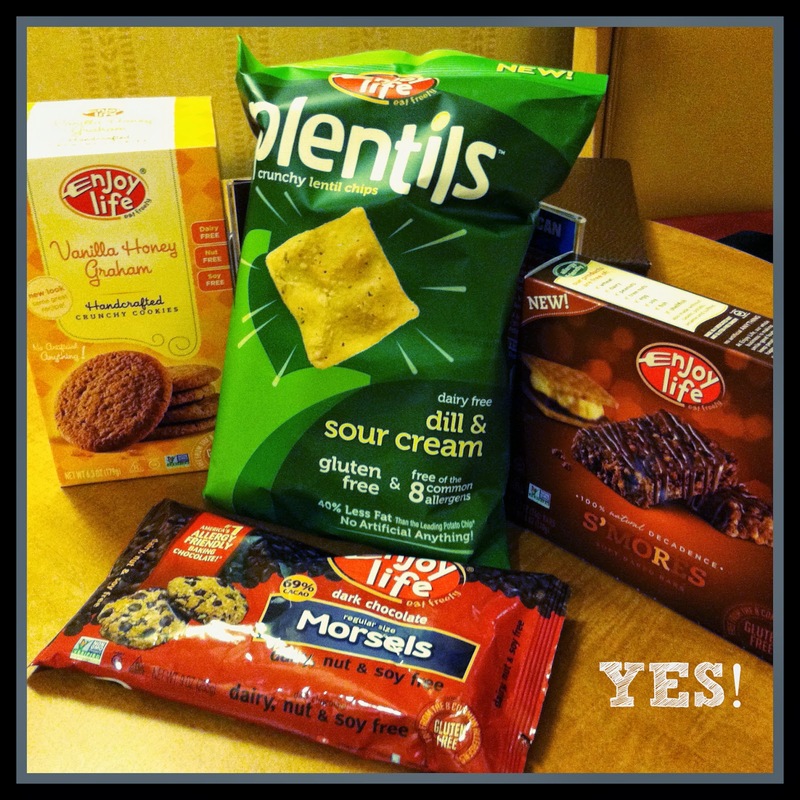 Enjoy Life Foods - THANK YOU for always being so generous and sharing your products with us! Looking forward to using your dark chocolate morsels this weekend! And thank you to Joel Warady, Chief Marketing Officer at Enjoy Life Foods, for being a part of this event and giving us tips on approaching brands, branding yourself, doing reviews and more. 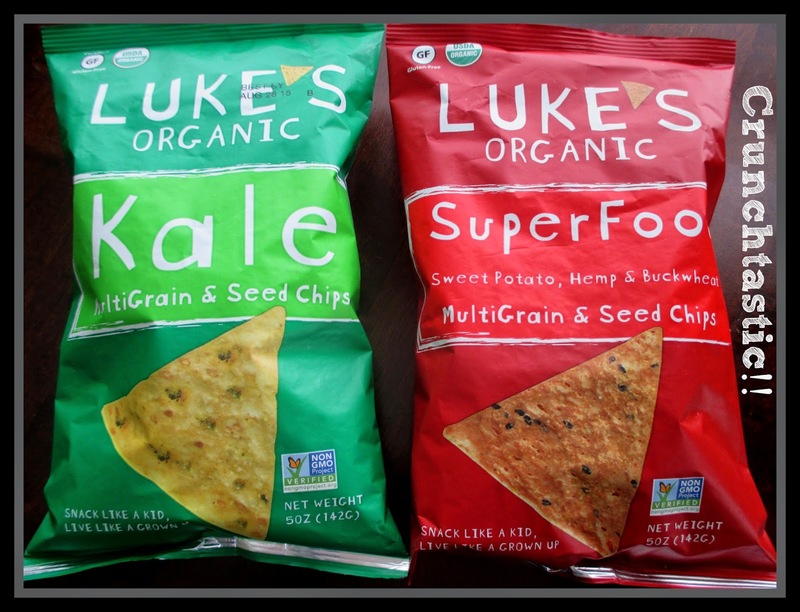 Luke's Organic Chips - are CRUNCHTASTIC! I loved the Kale Chips and I felt so healthy eating them! ;) Luke's father wanted to create great tasting chips and crackers for his son who has celiac disease. I love their story and website. My husband ate the whole box of Luke's Black Pepper crackers that I brought home from the conference! I think we'll be seeing a lot more of them - I certainly hope so! Pascha Dark Chocolate - OMGoodness! Eating a piece of delicious dark chocolate with a hint of coffee - HELLO?! DELICIOUS!! With 8 bars to choose from, as well as chocolate chips, Pascha is FREE of the TOP 8 allergens, I mean, AWESOME!! Friends - Seeing a lot of wonderful friends and meeting new ones is always my favorite part of this event. It's like a reunion every time we see each other. Erica, Michelle, Me, Keeley, Pam, Chandice and Sarah. 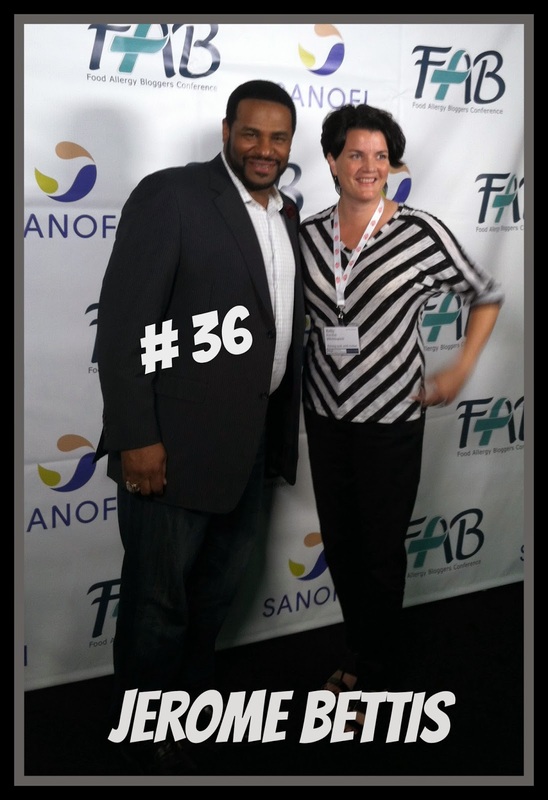 Meeting Jerome Bettis - Thank you to Sanofi for sponsoring FAB, as well as surprising us Saturday evening with a visit from "The Bus" himself! Jerome has asthma and is also anaphylaxis to shellfish. I may not know what team he played for in the NFL (Steelers, I know), BUT, I know he played for Notre Dame and that's all that matters! My husband was born and raised in South Bend, IN - so Notre Dame football is on our TV every Saturday. Social Media presentation with Ritesh Patel and Heather Hewett wrapped up the conference with LOTS of information on using social media. From Facebook, Twitter, Google + and more, Ritesh shared ways to enhance each outlet and shared the "Ecosystems of Storytelling". SWAG! 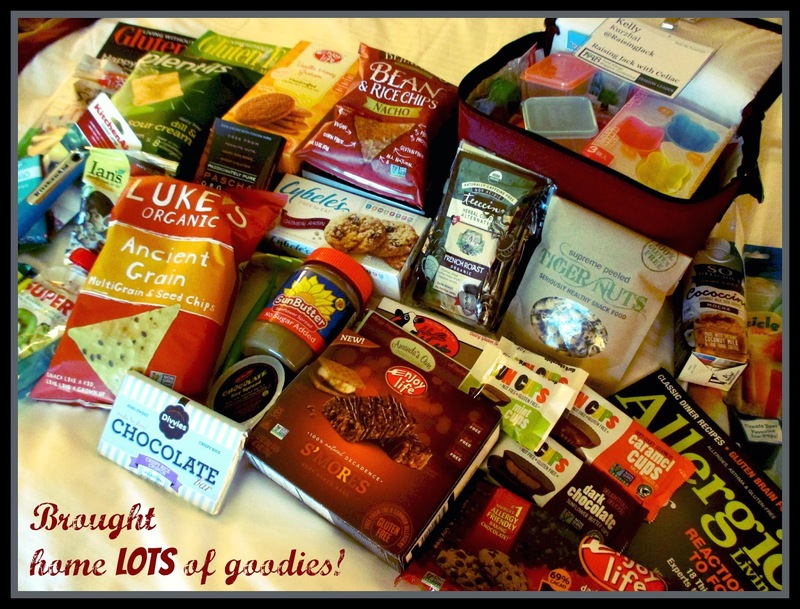 Thank you to all the vendors who contributed to our swag bags! I was stoked to bring this home to my family. Jack was pretty pumped!! He went for the chocolate first...just like his momma. Vegas Strip - On Sunday evening, we headed to the Vegas strip for dinner. Our dinner wasn't the best, but the company was AWESOME! Much love to all these ladies! Okay, so I can't leave this out, this was a BIG highlight of my trip...Monday was my "Vacation" day. 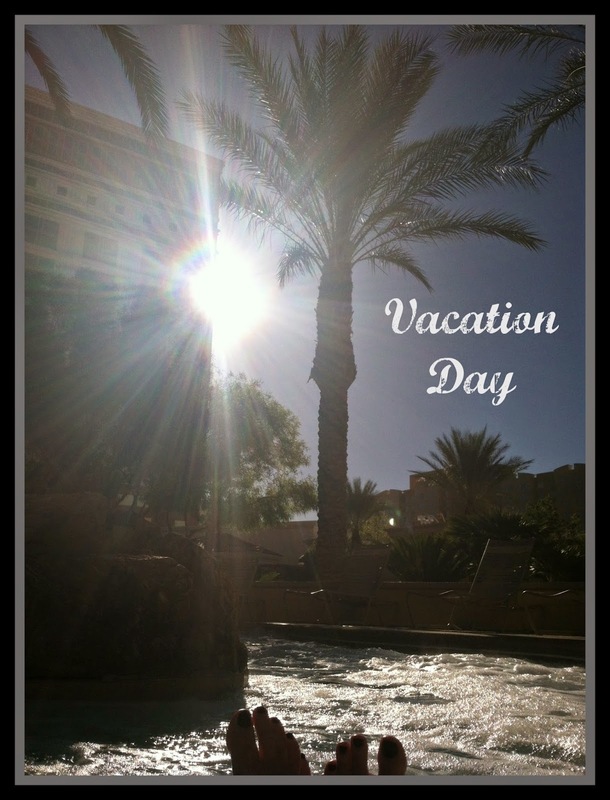 And I went in the hot tub a couple of times through out the day. An achy back's DREAM!! Last, but not least, Jenny Sprague and Homa Woodrum - Ladies, you out did yourselves!! Thank you again, for a wonderful event!! You both worked so hard to bring this together and it showed. Can't wait to see what's in store for next year!! Continue raising awareness, making a difference, encouraging others and don't forget to smile along the way. Life is too short not laugh, even when life is stressful and crazy, find your sense of humor and deal with the craziness with a smile! 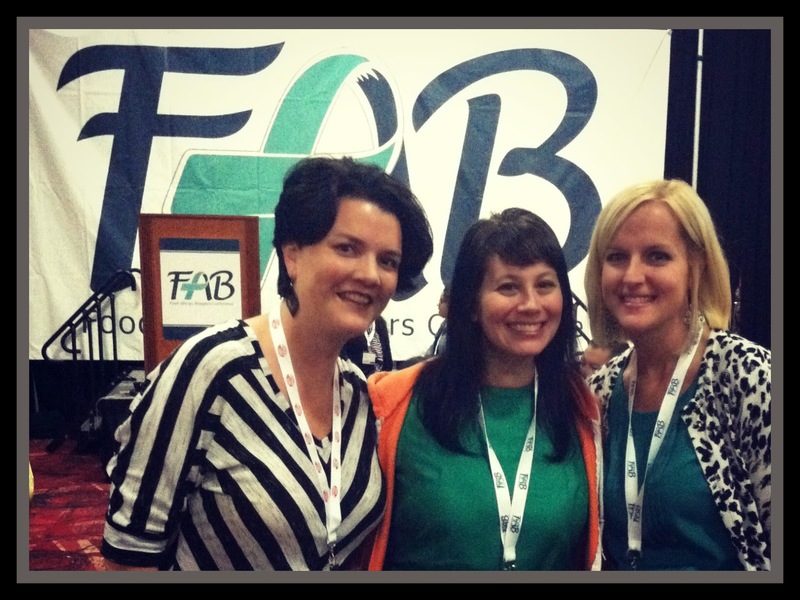 FABlogCon 2015, see you next year! Such a wonderful recap Kelly! I wish I'd had the chance to chat more with you - next year! !